We at Air Ambulance Worldwide understand that as a case manager, your job is to help your patients and their family members sort through complicated health situations in the most effective way possible. 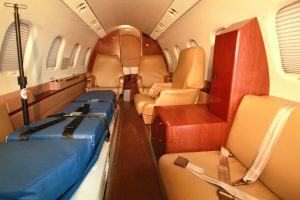 To help you with that goal, we are available 7 days a week, 24 hours a day to handle every aspect of the medical air transport process. We understand the balancing act that your case manager must contend with when it comes to long-distance patient transfers. That’s why we handle every detail of a medical air transfer, no matter where in the United States, Canada or elsewhere in the world your patient needs to go. Air Ambulance Worldwide also has a perfect safety record, as recognized through our ARGUS Gold rating and prestigious EURAMI accreditation, which is awarded to mobile air service providers with exceptional medical protocols and aviation safety records. We also have an insurance specialist on staff to help the patient or their case manager with billing issues and with collecting reimbursements from their private insurance companies. To learn more or to request an all-inclusive, up-front quote, call 727-781-1198 or e-mail us 24 hours a day, 7 days a week. We will proudly serve your patient or case manager anywhere across the globe.